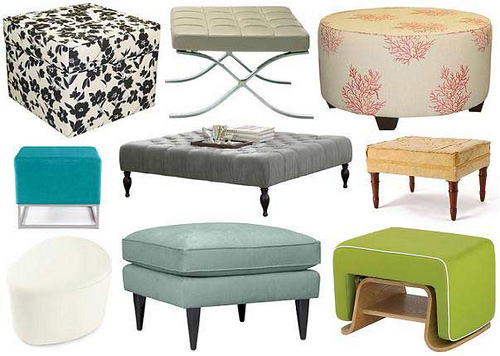 I have this thing about ottomans. I use them for side tables, coffee tables, at the foot of a bed and for extra seating. They make a perfect 'seat' in a closet to throw your clothes over or sit on when you are putting on your shoes. I also like to use them to fill in an empty space that just needs a little color or texture - maybe in front of the fireplace or in a corner. I think that every client of mine must have at least one! In fact, when I find an interesting one, I have a hard time resisting. 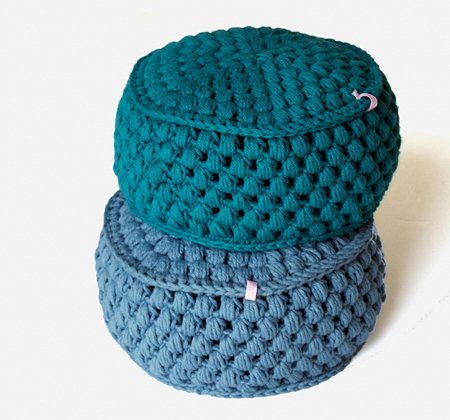 But I'm thinking what I need now is a pouf (do you remember when they were called hassocks?). I'd like a white leather one like this one from Serena & Lily. I'm hoping I can find one for a fraction of the price at HomeGoods. Well, maybe some day. So versatile. Good luck at Home Goods! 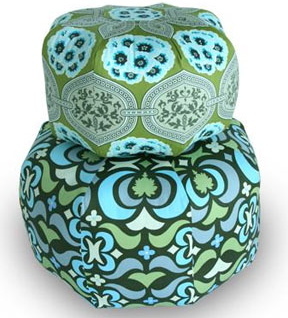 I have a big round ottoman that I want to do a chenille slipcover on...it is not exactly a pouf, but it has the feeling of one since the shape is round. 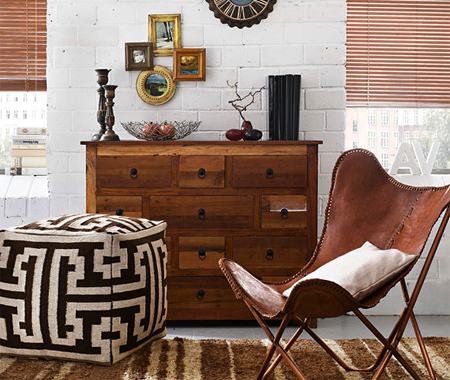 I DO remember having a hassock growing up in the 60s, and it was a leather one from Turkey...probably right in style these days. I haven't jumped on this train yet - but these are gorgeous! I'm just like that too! I also love poufs!!!! I love how versatile they are and how comfy and elegant they can be. I would love a white one, too. They're always great, aren't they? Love the white, too! Hope you find a good one for a lot less. There is nothing better then putting your feet up on something comfy and soft! I'm a little more traditional so the round ones, poofs, will have to grow on me but like the ones you have shown.